The walk back westwards along the southern side of the building is far less cluttered than the northern side. 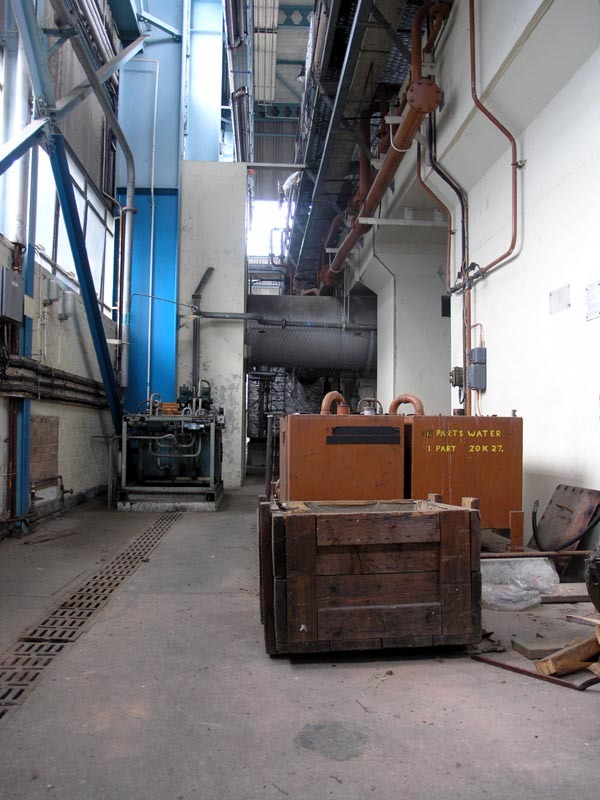 The piping connecting the exhauster to the exterior exhaust chimney can be seen further along the corridor. There’s also a door here which gives access to the room at the base of the exhauster chimney. View westwards along the southern wall of Number 10 Exhauster.